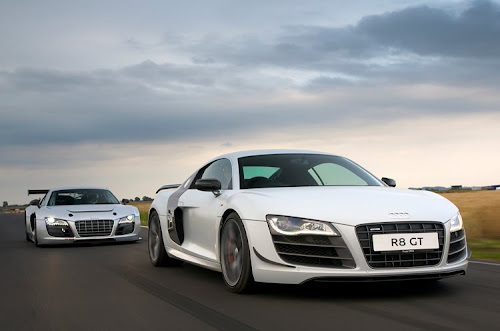 In a true display of road meets track, EVO Magazine took the opportunity to test, back-to-back, two of Audi's most fierce incarnations of the R8 supercar. The best-of-the-street R8 GT and it's track-bred sibling, the R8 LMS. Surely a cool video, although we wish Chris Harris would have been behind the wheel for this one. Video after the jump.